Coconut oil is one of the super foods, recommended by nutritionists, fitness and health food followers. Chemrez in the Philippines has developed a method of distilling Medium Chain Triglycerides from coconut oil, which keeps the product liquid. They extract CocoMCT® through a multi-step distillation process, which keeps the lauric acid intact and preserves all the goodness from coconuts. Chemrez wanted to develop a brand identity and label for this innovative liquid coconut oil. 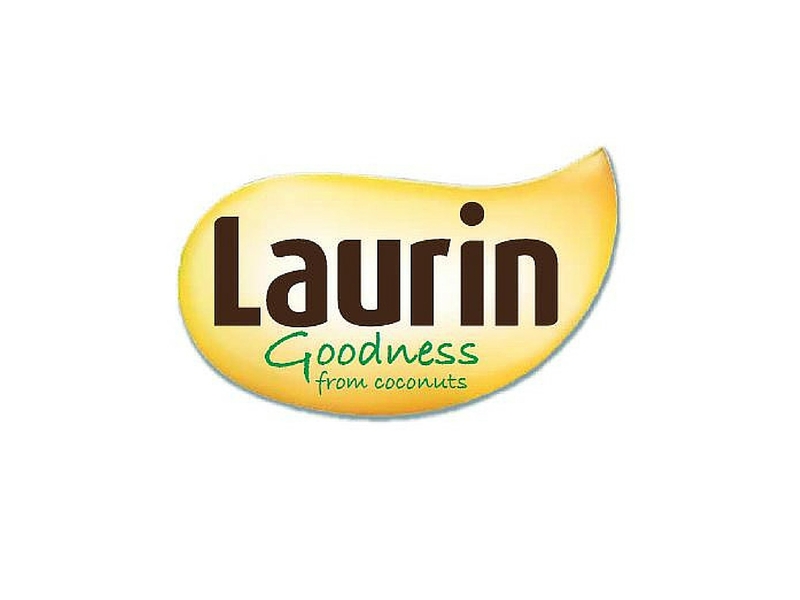 The brand name – Laurin was already established as the brand name. Consumer research provided insights on attitudes towards liquid coconut oil versus the traditional version. Healthy eating is a key motivator. The Laurin brand colour palette evokes the sunshine, sand, sky and seascape where the coconut palms grow, with a core colour palette of sparkling yellow, green and blue, anchored with brown. Laurin is presented in a holding device of a sunburst droplet that evokes both the beneficial aspects of sunshine and the oil from which Laurin is distilled.